We all make hundreds of choices every day. From the moment when we open our eyes in the morning and decide whether or not we’re going to hit the snooze button, to the moment we decide to close our eyes at night, we make choices all day long. Some choices are based on our wants. While often, they’re based on our needs. But either way, we take for granted the number of choices we have to make in a day – or rather, that we have the privilege of making in a day. 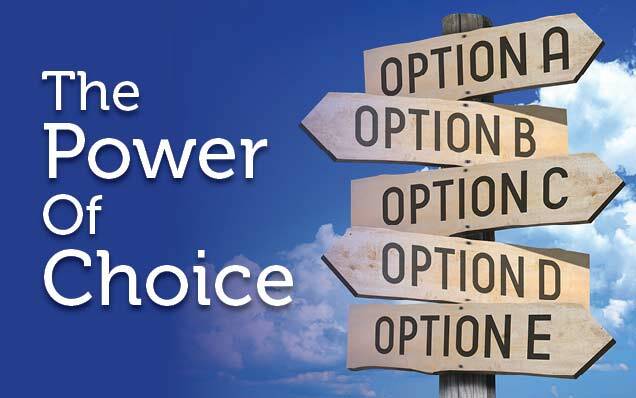 The ability to make your own choices is empowering. No matter how old we get, no matter whether it’s at work or at play, making choices gives people a sense of freedom. Think about today’s consumer landscape and the many different ways in which consumers shop. Some prefer to shop online. Some prefer to shop in-store. Some prefer traditional retail locations, while some love the big box stores. As consumers, people are empowered by their right to choose how to spend their money. Again, sometimes spending choices are based on want – but often, they’re based on need. Many times, spending choices are affected by changing markets, trends or the economy. For example, in the incentive industry, when the economy is strong and consumers are confident, they’re more likely to redeem luxury items in the fashion and technology categories. But, when it is not as strong and consumers are a little more cautious, they tend to redeem more items of necessity. As a marketer, the ability to be nimble and to anticipate these changes is critical. Offering a diversified product rewards portfolio guarantees that not only will people feel empowered, but also that their wants AND needs are being met. We believe that providing people with the power of choice, strengthens customer engagement and bolsters retention. In turn, this creates more value for organizations and keeps customers coming back again and again. Remember, the goal of a loyalty program is to fuel customer happiness and encourage employee retention. No single product or brand will evoke the same response across all demographics, so when creating any incentive programs, don’t alienate your customers by putting them in box. Give them plenty of options and let them dictate what they crave. The most in-demand products in the market translate into the most compelling reward redemptions. When you provide your customers with value that’s relevant to them, you’re showing them you understand and care about their needs. A successful marketing incentive program offers high-end items of indulgence as well as the practical everyday products. The crucial element is designing a program that strategically targets its audience with a wide variety of products. Bottom line: You can offer a narrowed selection of goods that you think most customers might like, or you can present a carefully crafted, yet varied program that offers the best of everything for everyone. The choice is yours. 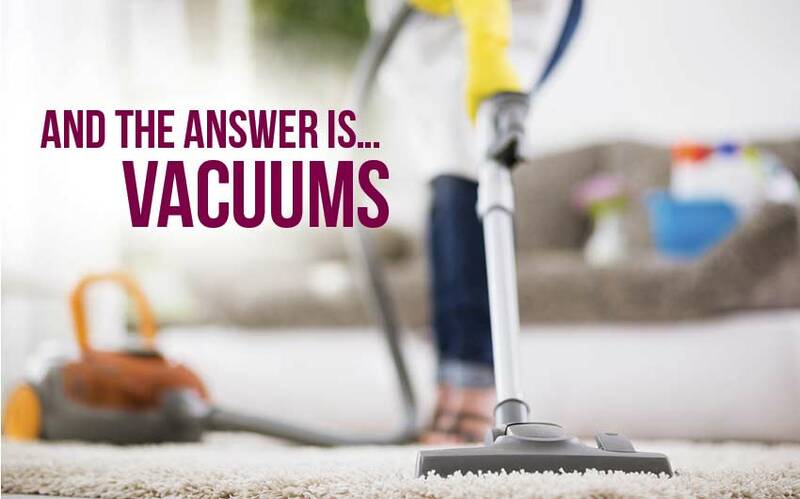 And the Answer is… Vacuums!